looking to get a dental plan? 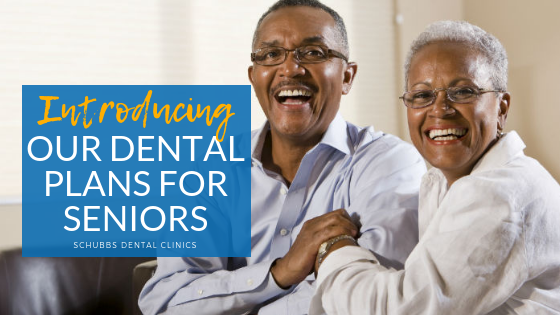 Enjoy better quality of life with our new dental plans for seniors. There are profound benefits from being proactive when it comes to dental care for the elderly. Older adults are the most at risk when it comes to dental outcomes. Dental care for the elderly requires expertise and a wealth of experience as available at Schubbs Dental Clinics. Our Senior Citizens Plan offers access to routine and commonly utilised dental services by senior citizens at a discounted price making it more affordable and accessible. Dentistry is not expensive, but dental neglect is. Our professional team is committed to excellence. We strive to exceed our patients' expectations in every aspect of their dental experience and give them confident and beautiful smiles.